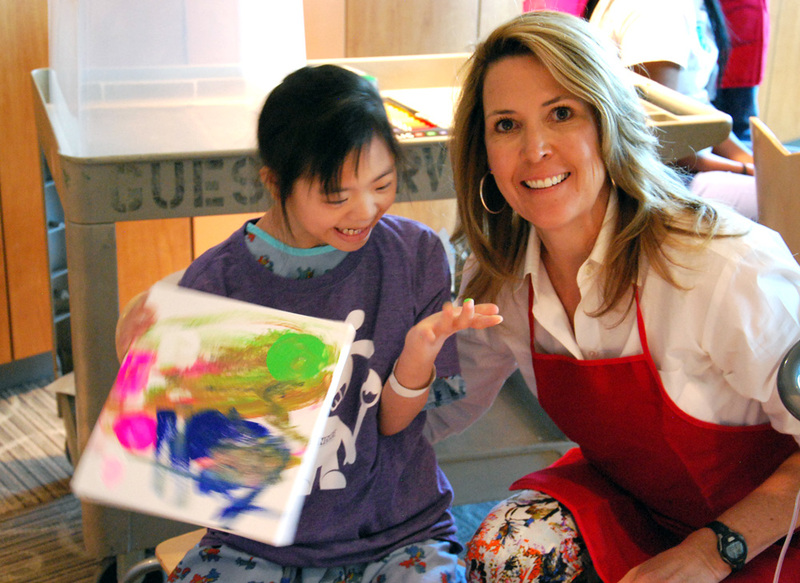 It was such a pleasure to be a part of a special event at Levine Children's Hospital this week, painting with Levine patients to produce works for auction at the hospital's upcoming fundraiser gala. 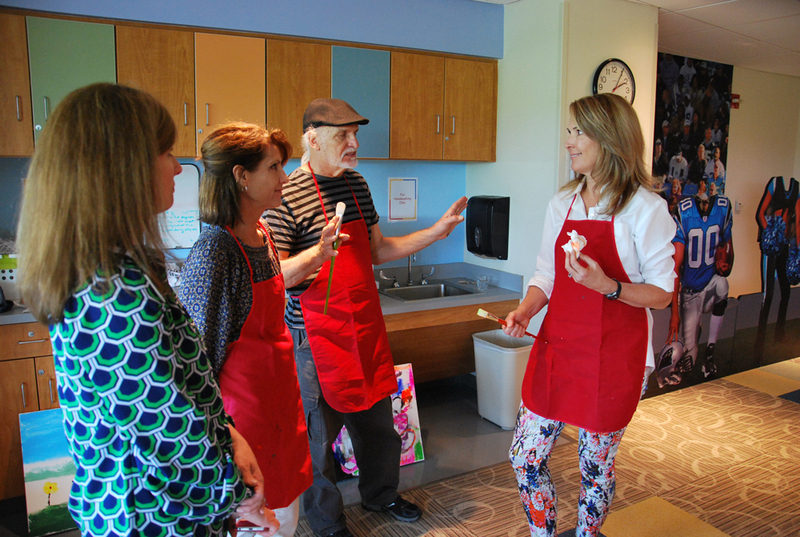 Sherrard Georgius organized a team of artists, including friends Paul Hastings, Christina Dowdy, Marcy Gregg, and Adrian Redmond, for a painting session in Levine's 8th floor playroom. 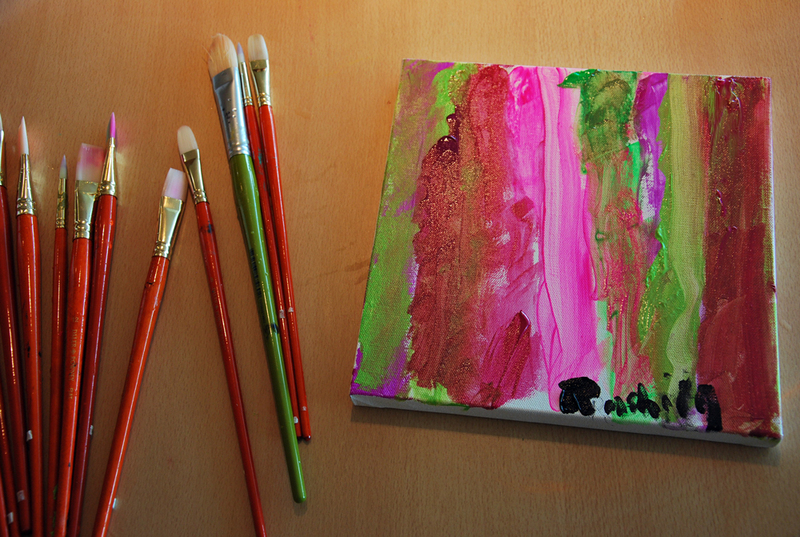 We worked with a group of children to collaborate on paintings that Campagnia Fine Moulding will frame for the auction. 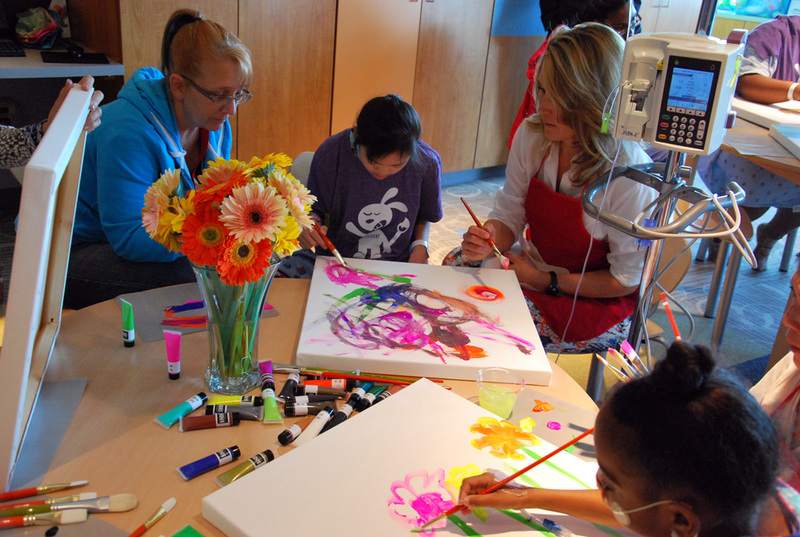 My painting partner, Jen, and our other patient-artists were spirited and inspiring! We also visited Secrest Studios, a sophisticated recording studio in Levine's lobby and were interviewed for internal broadcast throughout the hospital. What a fun day!